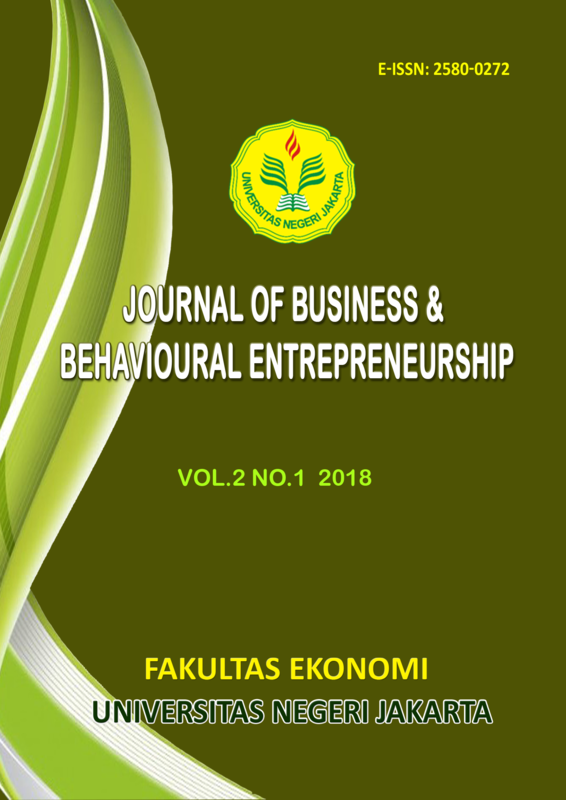 Journal of Business and Behavioural Entrepreneurship |ISSN: 2580-0272 (Online)| is published by Faculty of Economics, Universitas Negeri Jakarta. It contains research result dissemination and scientific paper related to: (1) Management; (2) Business, and (3) Behavioural Entrepreneurship. Journal Of Business and Behavioural Entrepreneurship is issued two times annually, i.e. June and December. The number of articles at least 10 articles per year. Every article that is sent to the Editor, will be reviewed and scrutinized by the editorial board for eligibility or publication without diminishing the substance of the article.